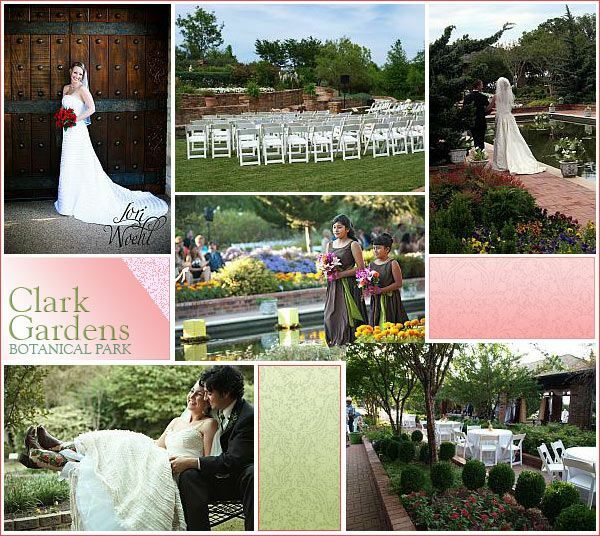 Clark Gardens is considered one of the best botanical gardens in the state of Texas and we strive to be the best possible garden wedding and reception location. Our many and diverse venues offer elegant, unique and inviting garden locations for both your wedding and your guests’ enjoyment. Our close proximity to the Dallas, Fort Worth (DFW) metroplex makes us a great garden wedding choice for anyone in the north Texas area. Clark Gardens can accomodate small parties and larger events of 200 or more guests. Wedding and reception packages start at $3,425. Wedding Only packages start at $1,000. Alcohol service fee applies to all events serving alcohol.